Arturia has the vintage analog emulation thing down. Their TAE (True Analog Emulation) technology they’ve developed is a premium body of work. They have a history of creating some of the very best emulations of vintage classics that have forever left their mark on the music world. 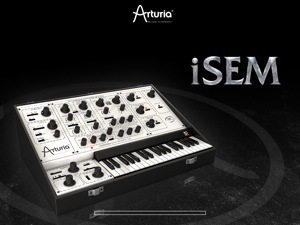 iSEM is the latest carefully crafted, vintage emulation of the famous Oberheim Synthesizer Expander Module (S.E.M.) from 1974. The sounds from the hardware back in the day graced legendary progressive rock, and electronic music artists like Tangerine Dream, and Rush. Today we can recreate those synth sounds not only with great ease on our iPads, but also with the same sound characteristics that made them famous. iSEM delivers. Attention to detail in faithfully recreating the visual appearance is obvious. All of the original Oberheim functions are neatly placed in uncluttered, and separate screens identified by their own button at the top of the screen. This 2 oscillator sawtoothed legend looks and sounds like the old hardware. iSEM maintains all of the original parameters of the classic that inspired it. 2 LFOs, multi mode 12db Lo, Hi, and Band Pass filter, notch, and 2 ADS envelopes . This also has some added functionality that expand upon its original, improving the synths overall scope of sound design range. The modulation matrix that comes with iSEM has 8 source to destination banks. Virtual dials control the parameter selection and how much you want of them in the mix. Very simple to use and immediately satisfying. Combined with the voice programmer (next) there are loads of cool sounds to be made. The 8 voice programmer module (see above image) allows independent voice settings for each. Select the desired parameter by a virtual knob that cycles through all of the routing options, and apply it’s effect and behaviors via additional up/down sliders. How about that! Well, maybe it’s not exactly the most impressive thing, but it does give you more room to spice up your sound creations effectively. iSEM also comes with some well emulated analog FX. Delay, Chorus, and Overdrive. Pretty much just the basics. These FX actually sound very nice. The Overdrive really packs a punch. Not a whole lot to say here that isn’t probably very obvious. Last is the “Pref” section. In this spot you can control the amount of every parameter in 4 banks. Each parameter is selected again by a virtual dial, and the amount by adjusting up/down sliders. So there is really quite a bit that can be done to craft sounds in very fine detail. iSEM is well thought out and designed for easy use. Full midi mapping control, Audiobus, WIST, and Inter-App Audio ready. There is no recording function onboard so that also means no AudioCopy.. It works easily with the iRig Keys if you don’t want to use the scrolling keyboard. Play mono or polyphonic by the flip of a switch. It’s stable, and behaves itself when connected to other host apps just as well as it does all alone. Things were not nearly as simple back in the day of wires and heavy equipment. Considering how things back in those hardware days were so much more complicated, you gain perspective of how truly spoiled we are with today’s technology. Can you imagine the look on Klaus Schults face if you told him in 1975 that his truckload of synthesizers and gear would fit on a device like an iPad? He would’ve Schultsed his pants! iSEM may not be the most feature rich synth ever made, but it’s not trying to be. This is a special type of sound that is especially suited well for thick leads and warm pads. With over 500 presets there’s a lot to try out, or build off. That’s a lot of presets, and honestly many are totally unnecessary. Several of them sound very much the same. In closing I have to say that although I am not particularly thrilled with yet another analog synth emulation, iSEM does do an excellent job finding its own place with its head slightly above glut of vintage synth copies we have seen so often. I think we have enough now? A brand new synth design would be very welcome from Arturia in the future. If you love that vintage sound, then this is the perfect synth for you. You will get your monies worth. This is a excellent, quality synth and you really can’t go wrong unless you already have a dozen analogs. For those of you synth history fans I included a copy of some interesting historical tid bits that I received from Arturia in their press release. “Hatched by legendary synth designer Tom Oberheim back in 1974, the dual-oscillator SEM was originally conceived as a way of beefing up weaker-sounding compatible analogue monosynths of the time before becoming a sought-after sound in its own right — so much so that its American creator came up with a series of successive SEM-based instruments, first pairing up two SEMs with a 37-note keyboard and a simple analogue step sequencer to form the Two Voice, Oberheim’s first self-contained compact, duophonic synthesizer in 1975, thereby beating rivals to the polyphonic punch. Programmability came courtesy of Oberheim’s breakthrough Polyphonic Synthesizer Programmer which — when hardwired into the fair-sized Four Voice (featuring four SEMs and a 49-note keyboard) in 1976 and enormous Eight Voice (eight SEMs set across two tiers) in 1977 — enabled the control voltages of many parameters for up to eight SEMs to be memorised for the first time. Though these instruments were undeniably groundbreaking, quickly finding favour with the likes of popular prog-rockers Rush and electronic music trailblazers Tangerine Dream, polyphony was, after all, achieved with multiple SEMs so each voice/module had to be programmed independently, which was quite a daunting task — even by somewhat shaky Seventies standards! Excellent review and I couldn’t agree more. You nailed it on this one!!! I keep seeing this sentiment on iOS music app forums and blogs and it bothers me. If Arturia had seen those comments and said, “well, let’s not bother porting our VSTs to iOS, they don’t want them”, I’d be pretty damn disappointed because iMini and iSEM are my favorite iOS synths. I love these extremely well done vintage synth recreations. While there are some great iOS synths out there aping vintage subtractive synths, Arturia’s TAE stuff just sounds closer to the real thing to me. 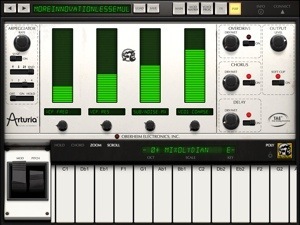 Animoog and Magellan sound great, but iMini and iSEM have dethroned them on my iPad. I want a retro sound and these are as close as I can get without owning the real thing. Beyond this, saying we don’t need any more [insert whatever you’re personally tired of here] could very well deprive us of some awesome apps down the line. It’s a toxic attitude to take. If you’re bored with something, just ignore it. There are others who want to see this stuff. I’m not picking on you particularly or anything, Mr. Israel, I’m just using this opportunity to voice my thoughts on this matter. I appreciate your reviews a lot and like your tunes. Keep it up. Thank you for the comment. I don’t mind opposing points of view one bit. However I think you misunderstand my intentions. “Toxic” seems a bit harsh. I think I made it very clear that iSEM is excellent and even stands out above the great many analog emulations available. 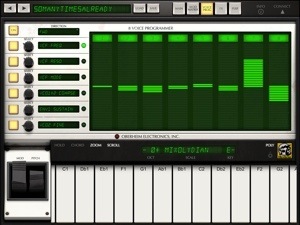 My point is iOS has very very few modern synths that aren’t basically just copies of something from the real world. One of the most compelling things that set iOS apart from everything else is the interface. I think we do need more innovation and less emulation. Like TC-11 for example. 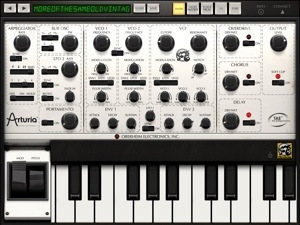 A synth that truly takes full advantage of the whole iPad. We have plenty of excellent “copies” but not many that are really all that unique. Without voicing the opinion (and that’s all this is) about feeling there’s plenty, we could see development stagnate. Who wants that? I certainly don’t think a permanent halt to anything is in my message, but rather I encourage development of some more innovative synths. Even a analog model but with better implementation of the devices unique strengths. Variety, creativity, and pushing boundaries are always good things. Thanks for replying. I hope it didn’t seem like I was attacking you or your review, as you did say plenty of good things about iSEM. I just see negative sentiments toward synth apps that mimic analog subtractive synths rather often, particularly on the Audiobus forum and at Discchord’s blog, and it gets tiresome. I’m certainly not trying to condemn demand for more innovative interfaces and synthesis techniques. A touchscreen device with an accelerometer opens up a lot of possibilities. That said, I’d be quite happy if Arturia ported more of their VSTs to the iPad. Didn’t feel like you were attacking. Oh, no, not at all. I get what you’re saying. Its a fair point. You’re right, there is plenty of negativity from various directions on the topic. I have no interest in anything like that. It bores me to tears. I just wanted to be sure I made my point clear to avoid any misunderstandings. Its a very good synth. One I enjoyed beta testing. Its just not innovative. Even though I was part of the beta testing, what I feel doesn’t change, and I feel obligated only to being honest with my readers. I’m sure we will see more from Arturia, and I’m always interested in what might be next. I’m happy when reviewers are candid; “it’s all good” usually isn’t true and doesn’t help people make informed decisions. 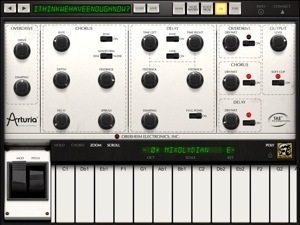 I also hope Arturia makes more vintage emulations for iPad. The first two have been instant buys for me. One of the areas I think iOS really shines is the way you can bring sampling into synthesis in mobile situations that are not possible on a desktop. If some of the new breed of synths look to vintage sources but then go further by taking full advantage of the working surface like say, Virtual ANS, we can all really benefit, and even guide a bit of the development process. I love these retro clones. They sound great, they truly deliver, and yes, we now probably have enough of them to emulate every vintage sound ever made on a real hardware synth. Great review and a great discussion. I agree with of what was said – by both of you. lately, I’ve been captivated by Virtual ANS. Incredible app, based on a very old machine that is almost somehow new. at least to us. I think Arturia does a great job, I own iMini, but will probably hold off for iSEM for exactly the reasons stated in the review. but I don’t want anyone to stop developing whatever moves the. Who knows, they may do the SH-101 next! No way I’d sit that out. I caved, got it, and…sounds amazing. I think it could turn out to be like certain films or records, that when they come out, they are almost taken for granted for how good they are, and so early reviews are all very good, but word of mouth eventually catches, and they go down as benchmarks. When I read between the lines of this review, I got a sense of how good it probably was, in spite of the similarity to some other synths, so I got it, and it is a keeper all the way. I agree! iSEM does have great sound and character. Although I have a lot of analogue modeled synths, this one is holding my attention. It will get a lot of use. I am very interested to see what Artutia does next and hope it’ll be something very different. Who knows?